When I first moved to Colorado Springs I found it to be quite the shock. It was all dry and warm (but not hot) and really REALLY brown. (I didn’t know it at the time but it was a high mountainous desert) There were these little white things floating through the air that I thought were dandelion flowers but turns out they were from cottonwood trees. It was pretty actually now that I think about it. 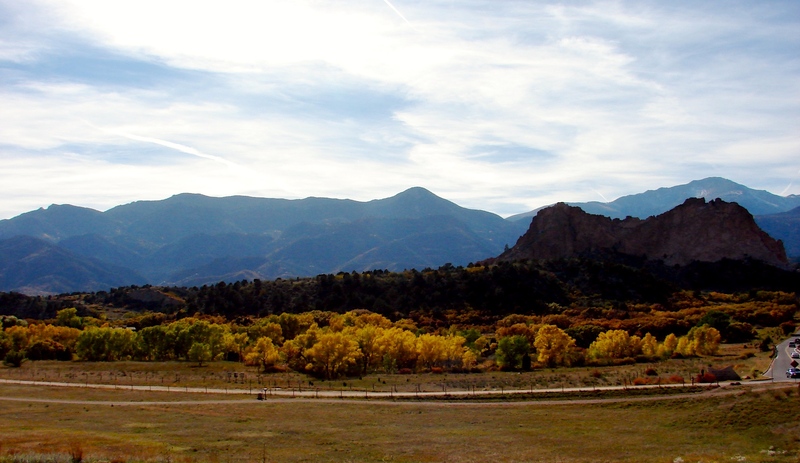 We took a drive south down I-25 to the southern end of the Springs. It was then that I first discovered this little patch of red rock sitting on the side of a dark mountain. I became obsessed with figuring out what that was. I wanted to go there. Before we investigated the rocks and the trails I stopped for a few photos. I still don’t know what these bushes are. But they were very pretty. Sorry about the photo quality, I had a dinky little camera back then that wasn’t good at macro. Of all the places I discovered while living in Colorado, this is still by far my favorite. I have years of photos of it and I am always finding a couple here or there that I haven’t shared with you. So even though I haven’t lived out there in over a year now I still share them when I find them. That’s all for today, it’s getting late and I have things to do. There is a lot more outdoor stuff to enjoy in Colorado that’s for sure. I miss it. Thanks for stopping by, and thanks for the comment! Love your photos ! 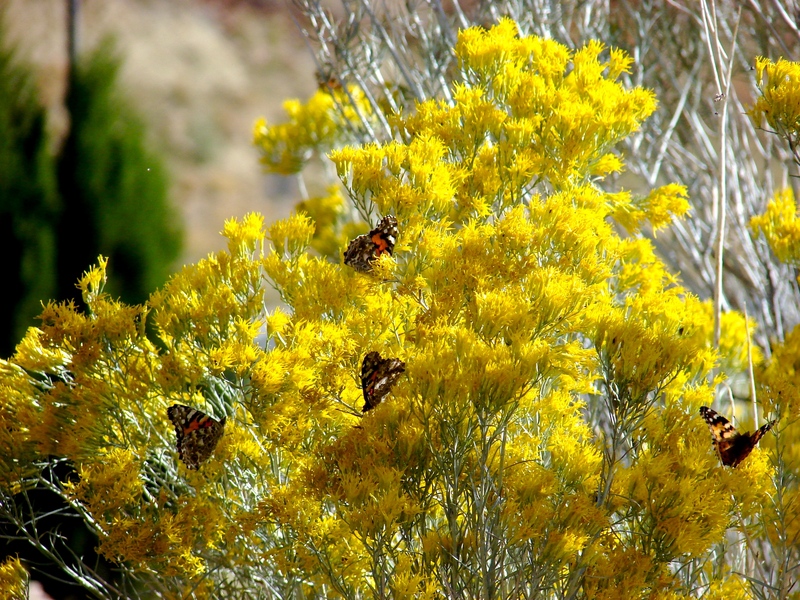 Can’t decide between the butterflies on the yellow or the rock formations. I went to South Dakota last fall – saw Rushmore and the Badlands – your post of northeast territories makes me want more! Um.. thanks, but technically Colorado isn’t in part of the Northeast Territories. Isn’t that considered part of Northern Canada? Thanks… yeah it is. Glad you decided to check it out. Thanks for stopping by! Beautiful!! We have a Garden of the Gods in my area too (I live in Western Ky, but it’s in So. Illinois). And we too have the little white floaty things from cottonwood trees. Absolutely breathtaking! In a forest type setting, they look like little faeries! We went fishing by the river this past summer and they were everywhere! Garden of the Gods is gorgeous, and it’s so well maintained. I think they have rangers out there somewhere, but I don’t believe I’ve ever seen one lol. I have seen groundskeepers though. Yeah it is beautiful out there. Thanks for the comment and thanks for stopping by! 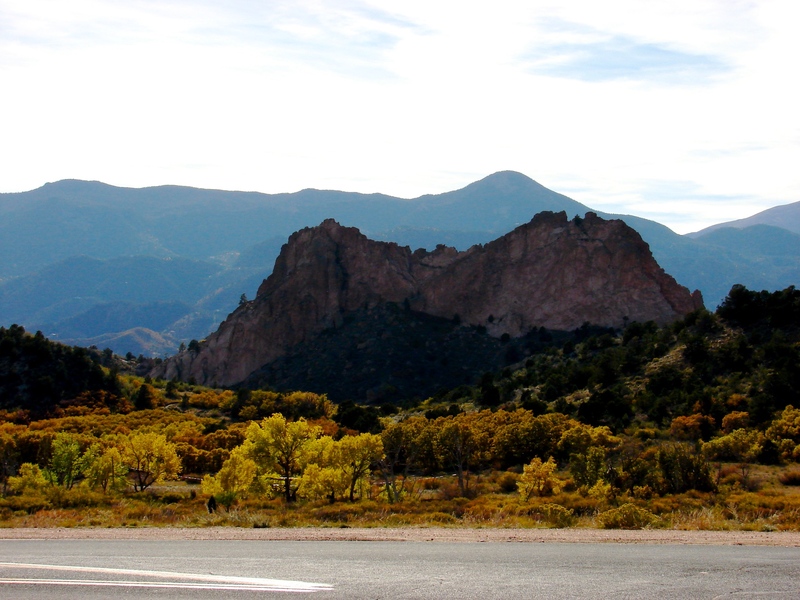 Garden of the Gods is awesome – we try to get there whenever we make it out to Colorado. Not far from there is 7 Falls National Park – also kind of cool. You know, 7 falls was always on my list. I had the worse timing with that place and never got to see it. We wen’t out there like 4 times. The weather would be perfect, not to hot, not to cold down in the springs but it would always be raining up on the falls and the people at the guard shack wouldn’t let us up. definitely not a winter thing – can’t imagine those stairs in the winter. I was there in late July, but the thunderstorm risk is high then – maybe spring or fall would be better? Spring probably. I love spring in the Springs. You get a short burst of color before the ground begins to dry out from Winter. It’s nice. My family took a trip when I was very young to Garden of the Gods. I still have a tiny turquoise ring and quite vivid memories of the trip. Beautiful place! Cool. My first trip I picked up a fish “wind chime” made out of red striped rock. It was polished up nice and pretty. It tangles easily though so I hang it in the house rather than outside. I just love staring at it. I’d love to be there right now. So tired of the cold and ice back east. Amen to that! lol I don’t know what the weather is like out there right now, but I’m sure it feels better there than it does back here. The lack of humidity makes the cold not seem so bad. What an enchanting place! No wonder it is the Garden of the Gods. Lovely photos. Yeah it’s beautiful out there. 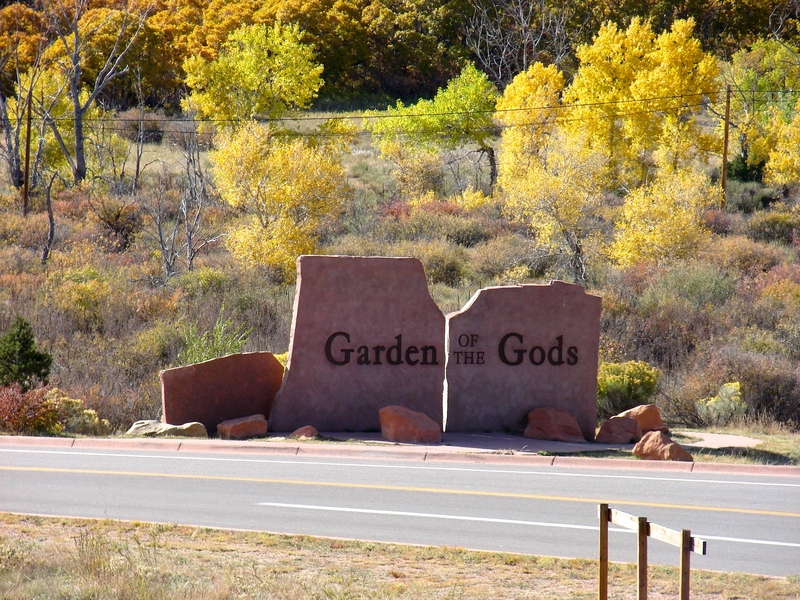 I have other photos of Garden of the Gods, just follow the Garden of the Gods tag at the bottom of the blog. Thanks for stopping by and thanks for the comment! Note: Comments disabled here, please visit their post. This is so pretty !!!! i love the colours !! I love that place. I don’t think I have one photo that does it true justice. Garden of the Gods is something you have to take in yourself to truly appreciate it. And the flowers look incredible over there ! I don’t know what they are. I saw those bushes everywhere. They were out at the Paint Mines too. They were pretty though.